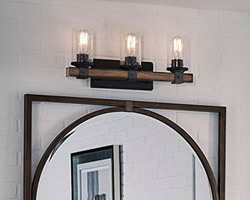 Complex tonalities of metallic oxidation enrich these classic, simple shapes. 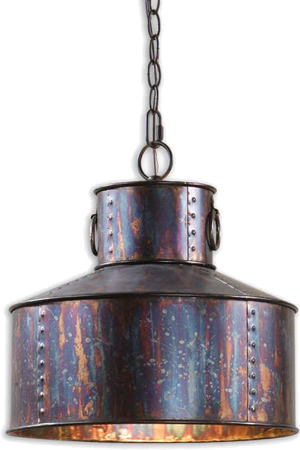 This double pendant is an excellent choice for a pool table or island light. 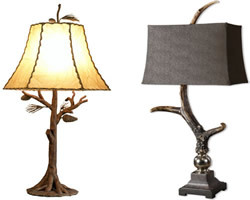 Finish: Oxidized Bronze Finish. Antique Style 60 Watt Bulb Included. 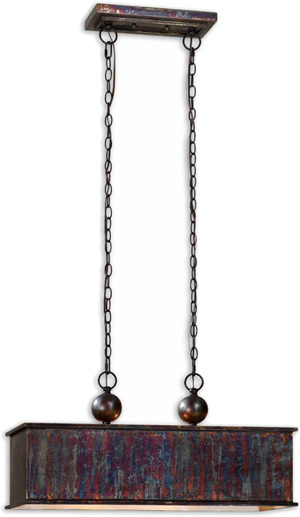 "Oxidized Bronze Finish with Aged Black details and Two Pivoting Mechanisms. 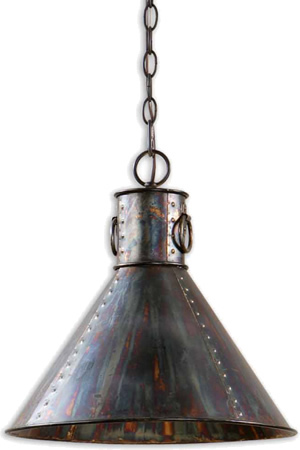 The Round, Tapered Metal Shade is a Oxidized Bronze Finish." 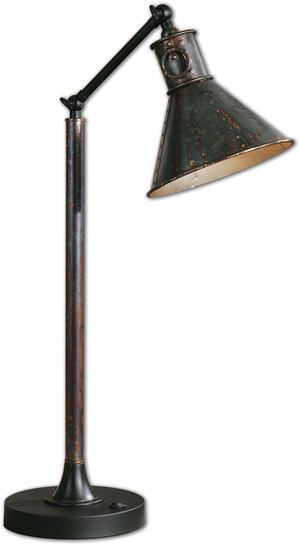 Finish: Oxidized Bronze Finish with Aged Black details and Two Pivoting Mechanisms. Oxidized Bronze Finish with Aged Black details and Two Pivoting Mechanisms. 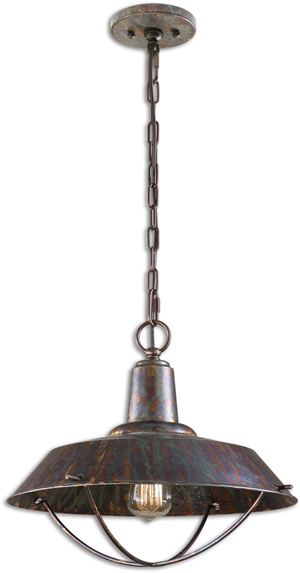 Finish: Metal Base Finished in a Plated Oxidized Bronze Accented with a Wrapped Tea Stained Rope Around The Neck. Base Arm and Shade Pivots Up and Down. 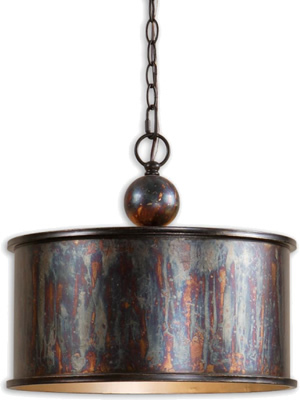 Metal Base Finished in a Plated Oxidized Bronze Accented with a Wrapped Tea Stained Rope Around The Neck. Base Arm and Shade Pivots Up and Down. 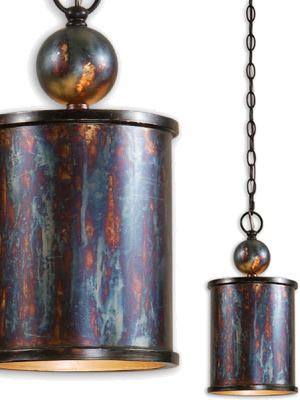 Oval Metal Base Finished in a Plated, Oxidized Bronze with a Suspended, Mottled Mercury Glass Shade. 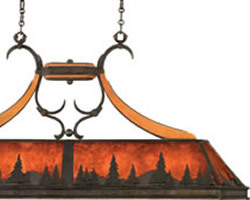 Finish: Oval Metal Base Finished in a Plated Oxidized Bronze. 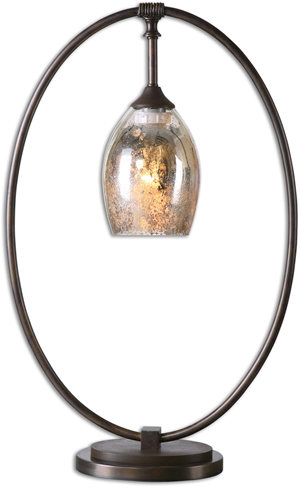 Oval Metal Base Finished in a Plated Oxidized Bronze. 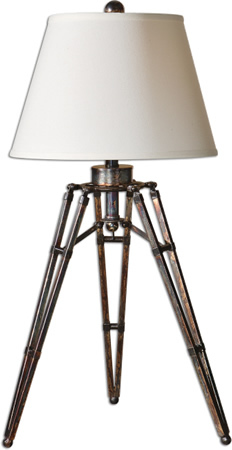 Finish: the Tripod Base Has an Oxidized Bronze Finish with Gold Undertones.